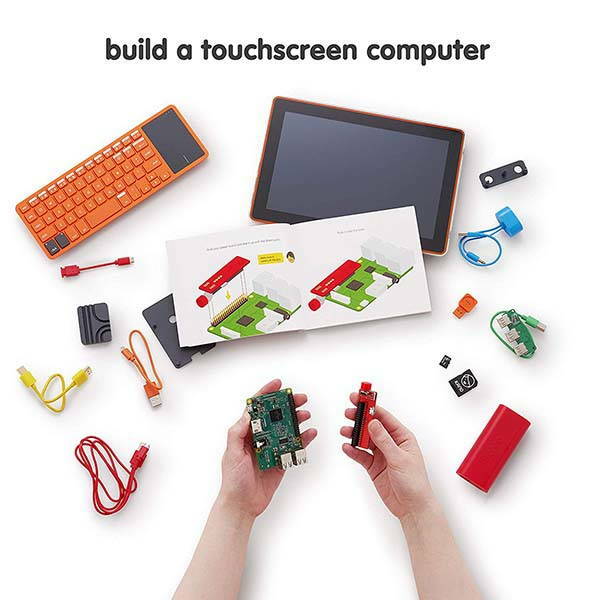 Using Raspberry Pi 3 and 10.1″ touchscreen, Kano computer kit touch allows your kid to build a touchscreen computer and learn coding. Cool? Let’s keep checking. This is a Raspberry Pi 3 powered computer kit designed to teach kids how to build a computer and basic coding, and it fits for ages 6+. The main part is a Raspberry Pi 3, and all programs you need to make it work smoothly have been installed in an included SD memory card. Meanwhile, an intuitive step-by-step book detailedly shows your kid how to finish his/her first high-tech project. The kit also comes with a 10.1-inch HD touchscreen display so that your kid can use it to enjoy various multimedia content, and it provides convenient touch control. 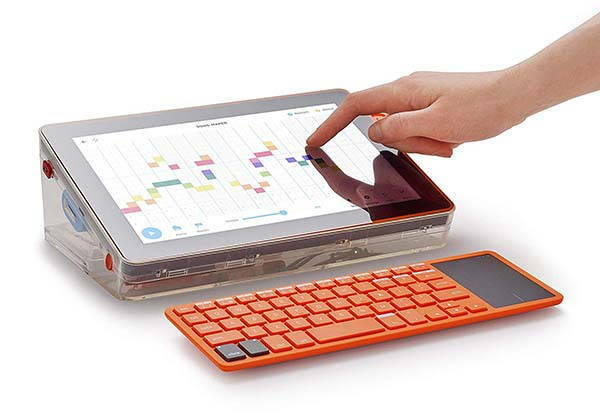 Furthermore, an included compact Bluetooth keyboard with trackpad provides traditional input, and using over 100 creative challenges and stories, it can teach your kid how to code. Moreover, integrated applications allow every little one to make art, games, music, and even hack Minecraft to do something new. In addition, your kid can also use it to watch YouTube, browse the Internet and enjoy over 100 applications. The Kano community provides more than 500,000 creations for the kit. Kano computer kit touch is priced at $279.99 USD. If you’re interested, jump to the product page for its more details.